Cook asparagus in a medium pot of boiling water for 2 minutes until bright green. Remove with a slotted spoon. Add snap peas, cook 30 seconds and remove. Cut avocado and sprinkle with lemon juice. Cook pasta per package directions. Drain and set aside. 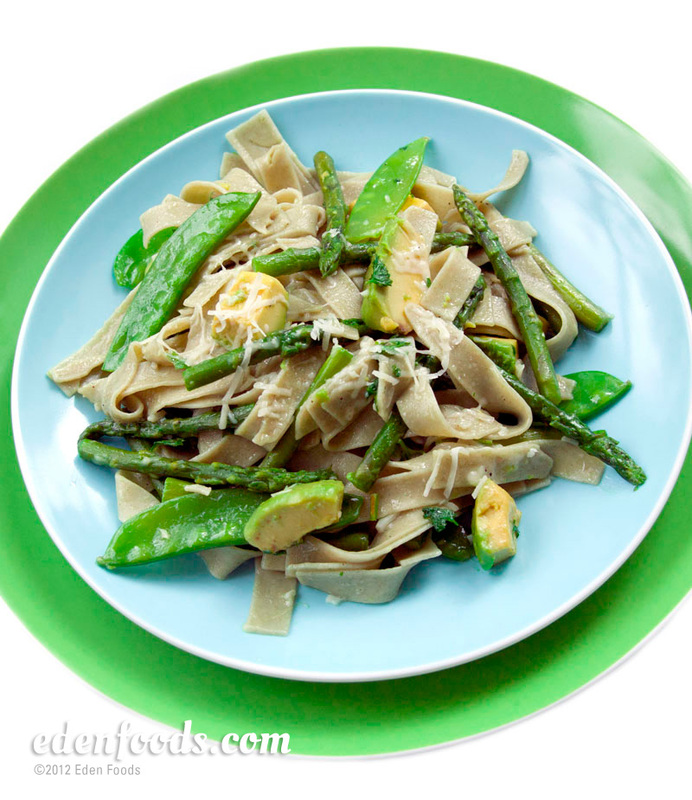 Place olive oil, asparagus, snap peas, garlic, salt and pepper in the pasta cooking pot. Cook while tossing for about 2 minutes. Add the cooked pasta, avocado, parsley and cheese. Toss to combine, and season with additional salt and pepper if needed. Serve topped with additional cheese if desired.